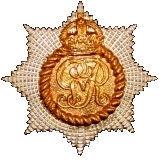 Four months service in the field with The R.C.R. SUPPLEMENT TO THE LONDON GAZETTE, 28 APRIL, 1917; Can. A.M.C. - The undermentioned temp. Capts. to be temp. Majs. :- W. L. Hutton, 5 Aug 1916. HUTTON, William Lorne, M.B. : public health official; eugenist; b. Winnipeg, Man., 28 Nov. 1888; s. Harvey and Molly (Verity) H.: e. Albert Coll., Belleville, Ont. ; Univ. of Toronto M.B. 1911; m. Floss Loney, 10 Sept. 1914; one d. Mary L.; Medical Officer of Health, Brantford, since 1919; dir. Brant Co. Health Unit 1946; pioneered in pub. application of toxoid as a diphtheria preventative (Brantford has been free of diphtheria cases or deaths, since Nov. 18, 1930, which constitutes a Candn. record for cities of 30,000 pop. and over); Candn. pioneer in application of fluorine to pub. water supply in the control of dental caries (June 20th, 1945, Brantford, embarked on ten year experiment adding one part fluorine to million parts pub. water supply); student of population problems; advocate of sterilization of the feeble minded; advocate of social policies designed to encourage larger families among intelligent people of all classes; served in World War 1914-18 as maj., Candn. Army Med. 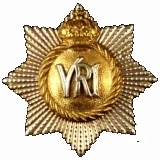 Corps; mentioned in dispatches 1917; author of many papers in the field of pub. health and eugenics; past pres., Ont. Health Offrs. Assn., and The Eugenics Soc. of Can. ; mem., Am. Assn. Advanc. Science; hon. fellow Eugenic Soc. G. Brit. ; Club: Brantford; Home: 60 William St.. Brantford, Ont. ; Office: Winston Hall. Brantford, Ont. HUTTON, William Lorne, M.B. ; public health official; b. Winnipeg, Man., 28 Nov. 1888; s. Harvey and Molly (Verity) H.; e. Albert Coll., Belleville, Ont; Univ. off Toronto, MB. 1911; m. Floss Loney, 10 Sept 1914; one d., Mary L.; pioneered in pub. application of toxoid as a diphtheria preventative (Brantford has been free of diphtheria cases or deaths since Nov. 18, 1930, which constitutes a Candn. record for cities of 30,000 pop. and over); Candn. pioneer in application of fluorine for pub.water supply in the control of dental caries (June 20, 1945, Brantford embarked on ten-year experiment, adding one part fluorine to million parts pub. water supply); served in World War, 1914-18, as Maj., Candn. Army Med. Corps. ; Mentioned in Despatches 1917; Past Pres., Ont Health Offrs. Assn., and The Eugenics Soc. of Can. ; Hon. mem., Candn. Dejital Assn. ; Am. Pub. Health Assn. ; Hon. Fellow, Eugenic Soc. G. Brit; Club: Brantford; Home: 60 William St, Brantford, Ont. ; Office: Winston Hall, Brantford, Ont. Dr. William L. HUTTON, 70, died in hospital on July 30. A native of Winnipeg, he studied medicine at the University of Toronto and graduated in 1911. 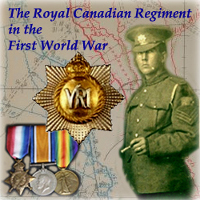 In the First World War, Dr. Hutton served overseas as medical officer in The Royal Canadian Regiment. After the war he moved to Brantford, Ont., where as medical officer of health he won international recognition as a pioneer in diphtheria control and water fluoridation. For 39 years he held this position until his retirement last year.